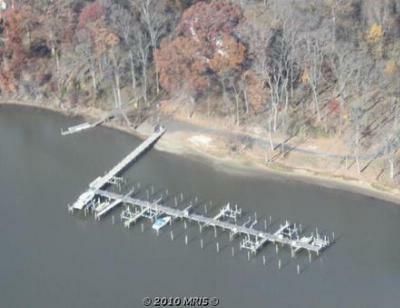 Country living at its best, that's Budds Landing a Water Oriented community on the Sassafras River, located in Warwick, Maryland. 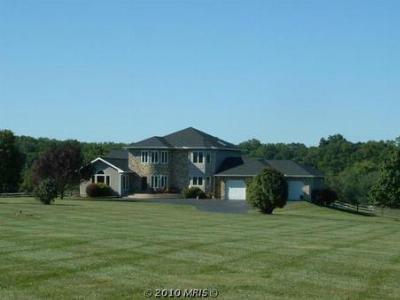 This magnificent custom home is situated on 5 lovely landscaped acres overlooking the community lands and pond. Hardwood and tile floors, cherry cabinets, indirect lighting, home theater, game room and granite counter tops are only a few of the top of the line amenities that make up this comfortable and inviting home. The large gourmet kitchen with planning station, breakfast bar and a comfortable dining nook overlook the pool area and also blend nicely with the family room. The deck and screened porch, easliy accessed from the family room, are a welcomed addition to the living spaces during the warmer months. The master bedroom, located on the main level, with an in suite bath with shower, also has a jetted soaking tub that looks out over the pool. Another large bedroom, currently used as an office, is also located on the main level. The upper level has three bedrooms, two of which have exquisite views of the pool, pond and community open space. Two full baths service these three bedrooms. A Home Theater with seating for six , Dolby surround sound and a game room with air hockey, table tennis, and pool table make up the fun spaces of the lower level. panoramic, natural vistas overlooking the sixty acre community wildlife sanctuary and large pond. Relax and watch the deer, swan, fox and eagles. Experience the Eastern Shore lifestyle of boating, swimming, fishing and horse-back riding. Call and arrange your personal showing now. Cecil and Kent County resale & Water Oriented specialist Lori Sample , Serving the needs of buyers and sellers since 2004 in Elkton, Chesapeake City, Earleville, Cecilton, North East, Charlestown, Perryville, Port Deposit, Galena, Kennedyvilleand surrounding areas. 443-350-0137.